The rain today reinforced what I already knew to be true…my hives are not ready for winter. Yes, that is a recycled desk top in use as a roof in the foreground hive, and no, it won’t keep out winter rains. In the course of keeping up with an early population boom, I made many splits, often resorting to some pretty slap-dash equipment use. 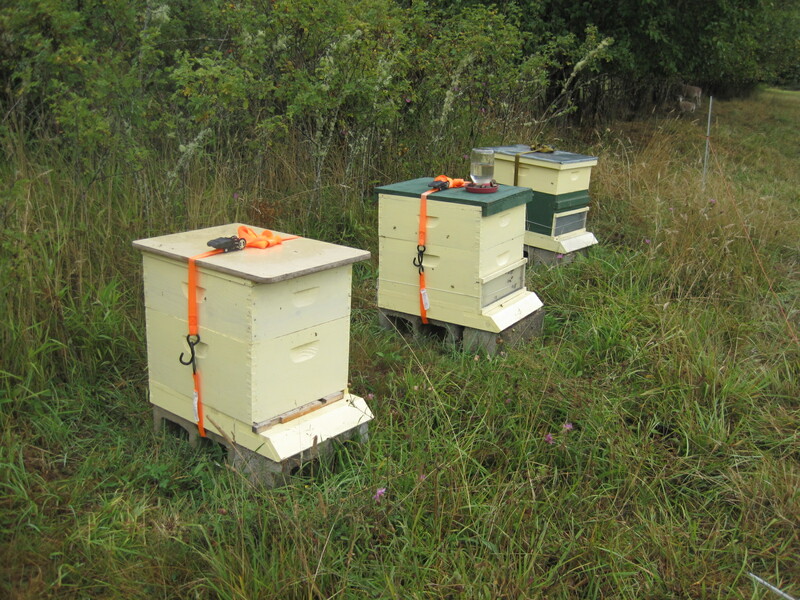 The migratory top on the next hive is also not particularly rain-proof. In order to get my bees into serviceable equipment for the winter, I will have to do some combining. This means making some hard choices about which queens to keep, and which to find new homes for. There are a few obvious choices–the late season swarm and small splits. Good queens, but not enough season left in both cases. But as for the rest…painful choices ahead!